By now, we’ve all heard enough people sing the praises of meditation to know that the practice is good for the mind and soul. It’s meant to bring peace and balance to our lives, but the mere act of getting started can be stress-inducing and therefore quite counterproductive. But don’t run away for that reason. We tapped experts for advice for aspiring meditators. Use these tips, and you’ll soon be the one extolling the virtues of meditation to your friends. You also don’t need to be seated cross-legged on the floor like many of us envision — just find a position that’s comfortable, whether it’s sitting in your favorite chair or lying on the floor. 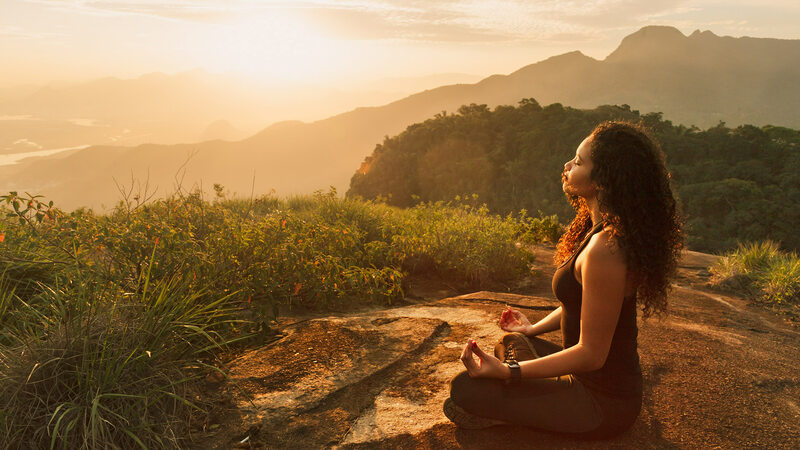 Dr. Laura Chackes, a psychologist and clinical director of The Center for Mindfulness & CBT in St. Louis, Missouri, recommends starting with three minutes of meditation per day and ideally working up to 10 to 20 minutes. She says to pick a convenient time of day for meditation so you’ll integrate it into your daily routine more easily. Chackes also emphasizes that it’s not cause for concern if your mind wanders during meditation. She likens meditation to an exercise of the mind that builds the mindfulness “muscle” in your brain. Raichbach and Chackes both note that guided meditations are highly effective for certain people. If you’re having trouble getting started on your own, don’t be afraid to check out YouTube tutorials or try apps like Headspace, Insight Timer, Calm, 10% Happier or Smiling Mind.